Do you prefer to blend into the crowd or would you like to stop and meet strangers? Would you rather capture a fleeting moment in time or tell someone’s story in detail? Are you shooting for Flickr, a blog, a gallery or just the sheer pleasure of shooting? Do you want to wait and compose an image in advance or to capture it spontaneously? Do you want a shallow depth of field to direct the viewer’s eye? Do you want to carry the camera everywhere with you? 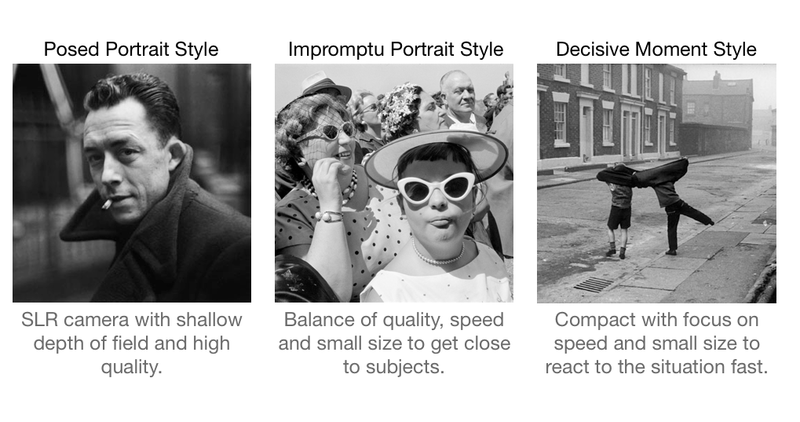 Based on these questions you’ll start to realise “why” you shoot street photography. Then you can choose a tool for “how” you want to shoot the street. Your basic choices are: mini-slr, full-size-slr, or a high-end-compact. There are some interesting trends in camera equipment for 2013. The technology gets better each year but 2013 will be a year of settling in with a few less big new products and more subtle improvements. This is great for camera buyers because you can’t really go wrong. The range of cameras defies a conventional buying guide, but I’ve picked out the hottest street cameras for 2013 below. The Olympus OMD EM-5 was a long time coming and is likely to be replaced in 2013, but only by a tidied up model with some refined controls. The original design is from 1979 (and so won’t change much in 2013), the sensor is a standard size (micro four thirds) so wont change (even if the pixel count does) and the lenses you mount on it will be the same in 2013. This means that I can recommend the OMD EM-5, even if it does get replaced, it’ll still be an excellent street shooter. The EM-5 renders like film and is truly a joy to use. 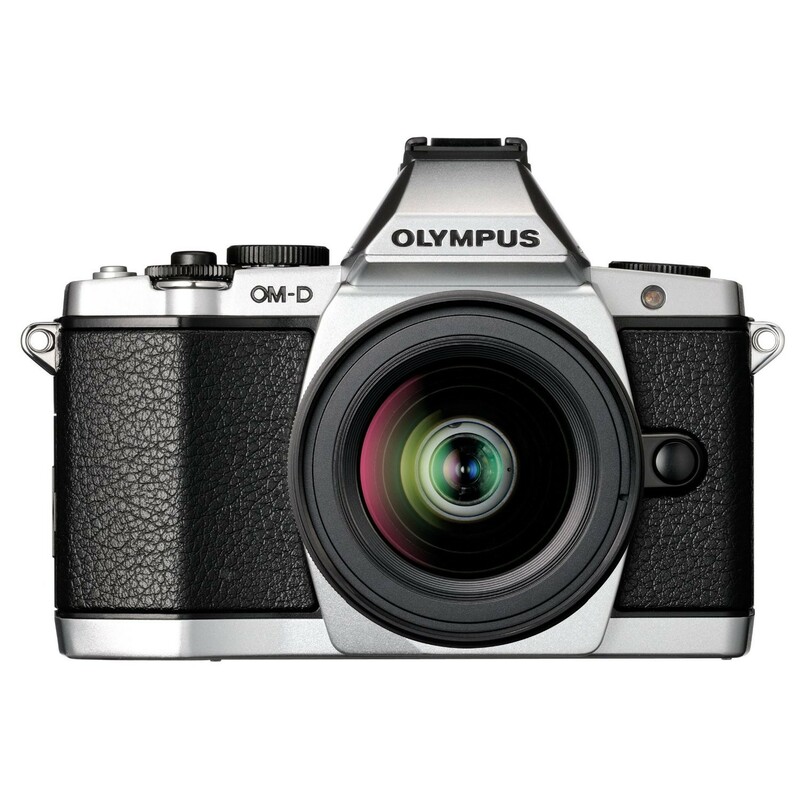 The retro style of the Olympus OMD cameras hides some seriously good technology. The new models will also be excellent and an OMD EM-6 would probably just refine some of the controls and bump mega-pixel count. Street photographers also love the other Olympus cameras like the excellent E-PL5, the older E-P3 and the forthcoming E-PL6 and E-P4. The Panasonic GH2 was a classic and the Panasonic GH3 is just as good. It’s not revolutionary and it’s not likely to be replaced in a hurry but it’s a steady deliverer. The GH3 doesn’t have the retro pedigree of the Olympus but the GH3 is much better at video. The Panasonic GH3 is a great street camera because it’s smaller than a normal SLR. 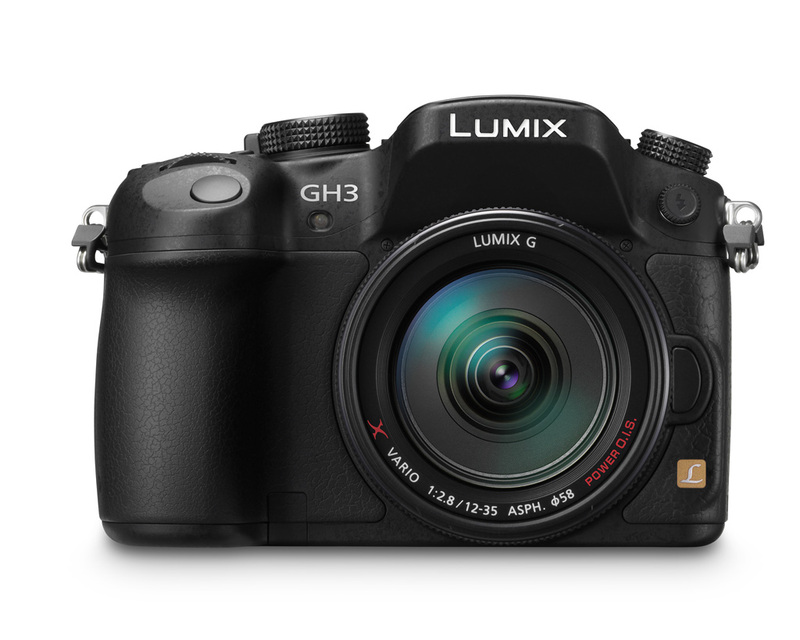 The product cycle on the GH series is much longer so expect the GH3 to be around for a while before the Panasonic GH4 makes an appearance. The Panasonic Micro Four Thirds cameras like the GX1 (or GX2 in 2013) and the GF2 (or GF6 in 2013) are more modern styling than the Olympus cameras. This can make them less fun for street shooting where the retro look is a nice icebreaker for conversation with a subject. The other high end DSLRs like the 5D and 1D are great but the Canon 6D gives you a full frame sensor (this means the sensor is the same size as a 35mm film) but without the expense of most full frame cameras. The technical and video features that you give up on the 6D won’t matter to most street photographers. But have a hard think about whether you’ll be using the autofocus. Please don’t buy a 6D until you’ve tried the autofocus in person. We’ve seen other great street cameras like the early Fuji X series scuttled by slow or buggy autofocus. 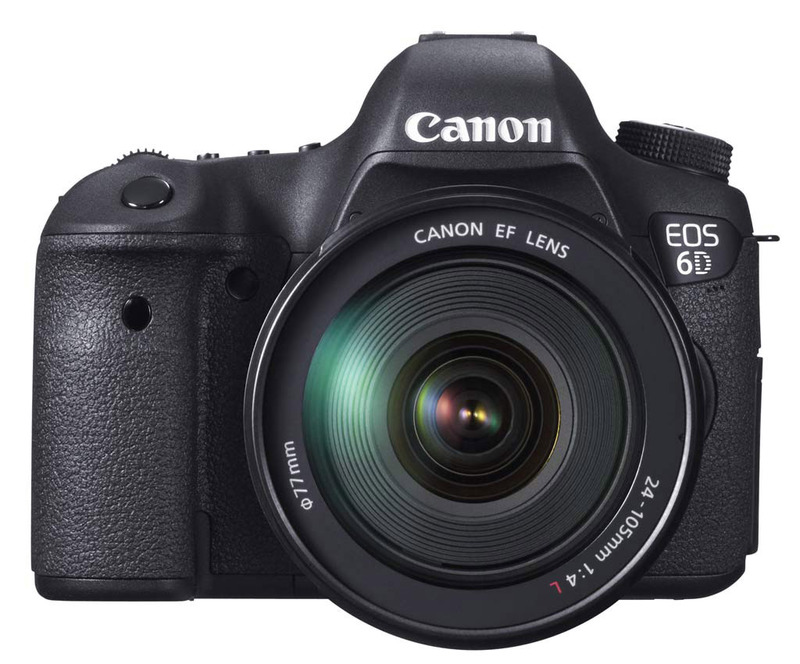 Full frame SLR cameras like the Canon 6D are high quality but can intimidate a subject. The Canon EOS M is a great little mirrorless camera that gives you a solid Canon EOS sensor and works with the great canon lenses. But it’s a bit of an immature system with not enough of its own lenses. 2013 will be the year it matures so a Canon EOS M could be a good buy if you love Canon and you’re ready for a smaller system camera but want to stay in the Canon family. The next generation EOS M2 in 2013 will still have the same lenses and sensor size but it could really mature the controls and the form factor. If you like the idea of the Canon Mirrorless but have been holding off then 2013 could be a good year. High end compact cameras can be great for street photography because they are subtle, unassuming and friendly. You need a serious enough camera to get a good image. Your camera also needs to look the part, so that your subject doesn’t worry that you are just a seedy dude taking their photo for “personal use”. – Therefore you need a “blogger’s camera“. A blogger’s camera is better than a compact or smartphone but good enough to take great photos for using on a blog or website. 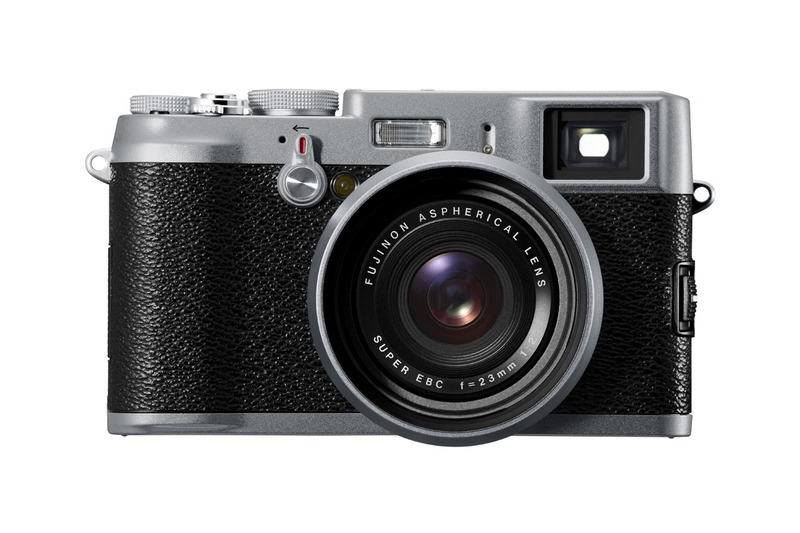 Luckily, 2013 will be a great year for high-end compact cameras. Smartphone sales have decimated the sales of low-end compact cameras. So high-end compacts are getting all the R&D investment and love. High-end compacts are great for street photography because they are small and subtle. Favourites for 2012 and 2013 are the Sony RX1, the Fuji X100 (or its successor the x100s), the Panasonic LX7, the Canon s195, s100, the recently released s110 (or its successors like the s120). These cameras are all excellent but different. Look for a combination of sensor size, lens aperture and focal length. That suit you. The best way to do this is to try them out in person, borrow them from a friend, or in-store and get a feel for how they work for you. Some of the fixed lens, large sensor cameras like the Fuji X100 and the Sony RX1 are barely “compact” cameras but they are amazing tools on the street. Street photography is an evolving art form and I’d love to see a series of street photos taken with a GoPro by a person wearing an outrageous teddy bear costume to get a reaction. Or a GoPro street photo series from the perspective of a traffic warden. – Who knows, the creative possibilities are endless. GoPro cameras allow you to mount them anywhere and the fish-eye lenses give a huge field of view so you can shoot someone without them knowing, or caring. The slice-of-life storytelling realm will evolve fast with iPhone apps, hidden cameras and other tools. Your style of street photography in 2013 might be something completely new. This entry was posted in Gear and tagged Canon, Fuji, GoPro, Olympus, Panasonic by Peter Thomson. Bookmark the permalink. I’m waiting for the Panasonic GX2, to go along w/ my Pana 20mm f1.7. i have an Olympus E PL 3. which lens would you suggest for street photography? i have been shooting with the kit lens(14-42 mm) quite a bit, and it turns out i usually like the photos which are shot at around 20 mm. how good is the panasonic 20 mm when comapared to the olympus 17 mm? If you want to do street portraits from a distance then the Olympus 45mm is a must have lens. You’ll be amazed at the difference that the extra aperture makes. If you really like the 20mm field of view then the Panasonic 20mm really is a lot better than the Olympus 17mm (the old one). The new Olympus 17mm is a pretty expensive lens and you might look into the Panasonic 14mm as an option. the panasonic 14mm is my favorite m4/3 street lens. the 20mm takes amazing shots, but the autofocus is tooooooo slow for street.